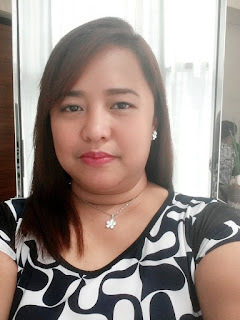 It took me a couple of days before I could finally blog about my choice for this year's Philippine Blog Awards Blogger's Choice Award. Ms. Noemi announced it earlier this week on Plurk but I had to check out the blogs of the nominees before I was able to choose one. Out of the blogs that I have checked, Heart of Rachel made quite an impression on me. Honestly, if it wasn't for PBA, I wouldn't even discover her soulful thoughts in writing. Still, I'm glad that I still had the chance to vote for her. So why Rachel's? I am a mom and I could immediately identify with her writings. It has been fun for me to read her updates on what goes on about her life as a mom and wife. There's a sincere feel in her writings that makes a first-time visitor like me feel immediately at home. I felt like I was reading an email from a friend about how her day went like. My natural reaction was to place a comment on her posts just like how I reply to my friends' emails. That's how warm and homey Rachel's blog make me feel. Technically, I like the site layout's childlike appeal. I love the picture where she's kissing the big teddy and the badge too! As I finish writing this post, I noticed an alert on my Plurk profile. Rachel has added me to her list of Plurk friends! Woohoo! See what I've been writing about how friendly this lady is? You might want to cast your vote, too. Hope it's Rachel! Thank you Mauie for your support. I really appreciate your kind words. I'm so happy to have crossed paths with you through blogging.